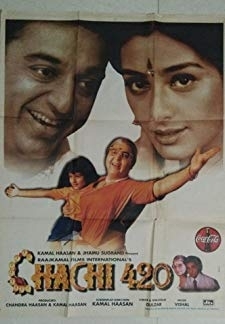 © 2018 Scratchu.com Gunehgar The Criminal | Kamal Haasan, Sripriya - Gunehgar The Criminal (1982) | Hindi Movie | 6.0/10 | Synopsis : Kamal Hassan and his younger brother as kids love each other a lot but circumstances seprate them. Both of them grow up as goons. Kamal Hassan while working for a gang kidnaps his brother and gives him to them. Once he realises his mistake he wants to amend his mistake. Will he be able to save his brother. To know more watch the movie Gunhegar The Criminal. ... Watch Online!! !